Showing results for tags 'shiratsuyu'. This is a general invitation to all players who plays the IJN DDs. The Shiratsuyu is coming to World of Warships and, as she currently stands, she'll be arguably a superior torpedo boat to the Shima that gets MMed with battleships that have yet to learn about the A and D keys! I therefore would like to have a general idea of the people who would like to join World of Warship's official teamspeak in order to division up and create a great wall of torpedoes all over the tier 7 maps. Well, who's up for it? Hi, recently acquired the Shiratsuyu. The gun sound, wow, its like a Yamato on steroids, and the volume can't be lowered, like the other guns in the game..... This is not normal is it? A-poi-calypse Now II: what killed the IJN destroyers? Not a guide, not about the update. Do not move! Yeah, we're doing this again. The poster girl this week is Yuudachi of the Shiratsuyus by the way. We won't be talking about her. I recently returned from a prolonged and painful surgery to correct various extreme medical injuries, self inflicted during and after playing the Shimakaze. Needless to say, I needed to have several of my teeth forcefully extracted from my tongue. I'll also have to drop by a nearby church for some supplies to clean up the things I managed to summon with my guttural screaming whilst playing the Shima. That brings me back to something that I would like to discuss however: the state and the future of the IJN destroyers and torpedo focused destroyers in general. The Shiratsuyu will be nerfed, as many may know. The Shiratsuyu, War Gaming's last attempt at introducing a fleet destroyer after the menace that was the Shimakaze in early release, was designed in the game to fulfill the role as a fleet destroyer despite her quite weak torpedoes and small size. War Gaming has decided that she was too strong however, and they decided to remove the last non-Akizuki Japanese destroyer that could genuinely be considered good aside her peers. Even now, it appears that War Gaming has no place to put the high tiered IJN destroyers. Reminiscing about: torpedoes The Golden Age of IJN DDs Whilst only the Shimakaze has the official designation as fleet destroyer in the game (for the Japanese tree), many destroyers of the IJN line used to act as fleet destroyers. They distinguished themselves from the lower tiered destroyers by being utterly lethal area denial and fleet destruction weapons. Before they were neutered and nerfed into the ground. F3s and the Minekaze The problems with the Japanese destroyers from tier VI onward basically all stems back to a simple change. The Shimakaze was the scourge of the sea in her golden age. After the first drop in carrier players, there was nothing left to stop the Shimakaze to become the dominant ship. Poor concealment but having the fastest speed of her time, she could keep any enemy at arm's reach and fill an entire map area with torpedoes that even destroyers struggled to dodge. A Minekaze needs 80-100% of her salvo firepower to kill a battleship. 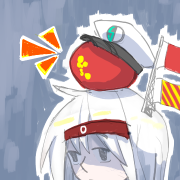 A Shima could kill most battleships with four torpedo hits, and most cruisers with two. Due to the escalation of arms, more players kept gravitating towards the Shimakaze until it was not rare to see half of each team made out of nothing but Shimakazes. War Gaming stepped in, as they probably had to, to begin the collapse of the IJN destroyers. The Captain's Skills All good things comes to an end, and the age of the Japanese destroyers slowly died. The first death blow was the changes to the captain's tree. Namely the removal of sixth sense and the fifth line of captain skills. The addition of destroyer lines The last cause of the death of the IJN destroyer line is perhaps the addition of more destroyer lines. The IJN line maintained the weaknesses they had in their earlier and far more dangerous phase, whilst lacking any of the strength of the other destroyers. The KM line is introduced almost as a 'fixed' IJN destroyer line. They are designed after the Minekaze playstyle. The issue with map size and ship distribution has gone unaddressed by War Gaming however, which means that the German destroyer lines are primarily played as anti-destroyer miniature cruisers. The IJN destroyer line is dying due to their lack of distinctiveness and the rise of awareness in the player base that makes the playstyle of the Minekaze style torpedo sniper more and more nonviable as time goes on. Ultimately, the Shimakaze will most likely not get restored to her old glory. I am unconvinced that such a thing could even be done without breaking the game. Ultimately though, there is little I could do or say. The problems with carriers is caused by gross incompetence and lack of comprehension of the class from the developer's standpoint. The problem with torpedo destroyers are far more intrinsic, and I can't say how they should fix it if it could be fixed at all. There's not much I could do, but watch it slowly vanish into the dark of the night without being able to say even a word of farewell. Addendum: I do realize that IJN DDs are still around, death is a literary device used in the editorial. I'm putting this here because no doubt someone will try to start a semantic argument with me down in the thread about this. To that guy, screw you!